President Peter Mutharika has challenged the Anti-Corruption Bureau (ACB) and Parliament’s Public Accounts Committee (PAC) to ensure there is logical conclusion to the K236 billion Cashgate, the country’s largest financial scandal suspected to have occurred between January 2009 and December 2014. From the 44 companies investigations, only 13 files were completed and passed on to the ACB detailing payments to 13 companies from the Malawi Police Services (MPS) and Malawi Defence Force (MDF). MPS and MDF paid the 13 companies a total of K17.1 billion, representing about 20 percent of the figure the auditors are looking at. Auditor General Stephenson Kamphasa told PAC that his office had engaged a forensic audit firm to work on the remaining 37 files alongside his auditors. Opposition lawmaker Kamlepo Kalua, who is PAC vice chairperson, has been claiming that he knows of names of seven cabinet ministers implicated in the mismanagement of the public funds . But speaking in Lilongwe on Tuesday when he presided over the launch of the National Security Policy, Mutharika challenged the institutions investigating the matter – who have kept a tight lid on the rest of the names mentioned in the files – to fast track and complete investigations on what he described as ‘so called’ 13 files and K236 billion audit query. “And I repeat, what I have always said, I will never shield anyone from the law,” ,” said Mutharika. The Malawi leader renewed his vows to crackdown on corruption and that there will be no sacred cows. “Corruption has become our culture and Cashgate was the climax of it all, many believe it’s a normal way of doing things. However, we need to change this, the fight against corruption is a corrective fight. Let us avoid, desist and report corruption to end it. It can never be dealt with through prosecution [alone],” said Mutharika. “While some people are busy politicising corruption, objective people can see that we are slowly making progress but we need to do more. “Fighting corruption is not for one individual, therefore we must stop pointing fingers at anyone,” said Mutharika. The Malawi leader announced that government has finalised the procurement of new t Integrated Financial Management Information System (IFMIS) replacing the old software now blamed for Cashgate. In his remarks, chief Secretary to government Lloyd Muhara described the launch of the National Security Policy as a milestone saying issues of national security are a prerequisite for national development. Different stakeholders including the European Union (EU) took part in coming up with the policy. I thought He said there are no 13 files contradicting himself. There goes your president, Malawi. A man of double if not triple standards. When he gives a public speech, oh my, you keep nodding your head hopping now he’s gonna get tough on corruption. As days go by no real action against his closest allied corrupters is on record. A pot cannot call a kettle black. And talk is cheap. 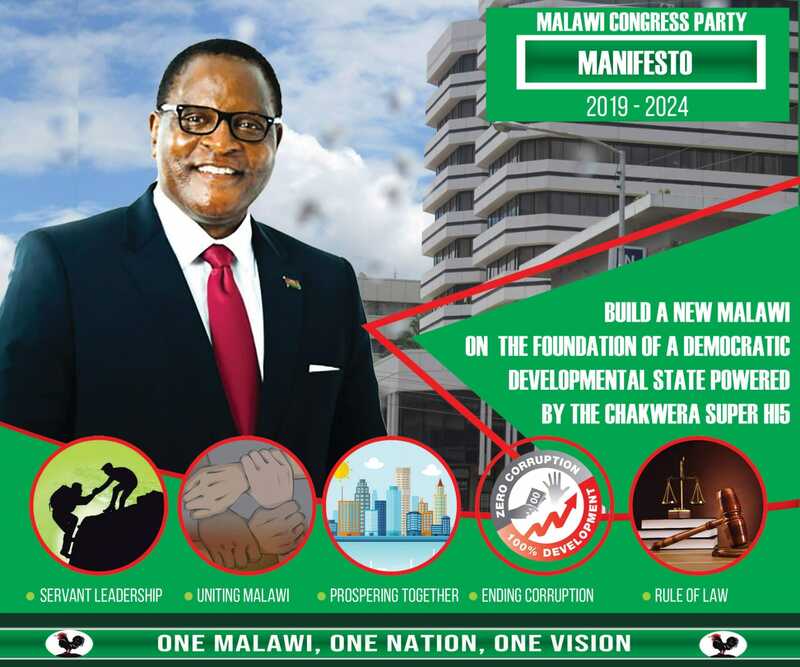 Come 21 may,2019, MALAWI MUST CHOOSE AN ACTION MAN OR WOMAN WHO WIJLL TACKLE CORRUPTION HEAD ON. AWAY WITH EXPERIMENTING LEADERSHIP AND ALL THAT NONSENSE.